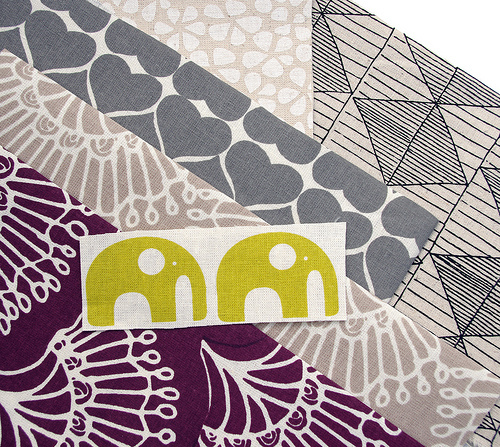 Umbrella Prints is a textile house in South Australia run by Amy Prior and Carly Schwerdt. These inspirational girls have been designing and hand printing fresh patterns onto organic cotton and hemp/cotton since 2006. Hand printed on natural organic hemp/cotton (a mid-weight fabric) are these delightful designs in a range of neutral colors. 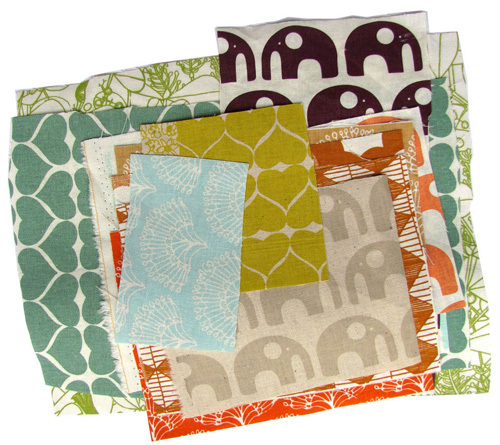 These remnant pieces are perfect for adding a sprinkling of unique prints to your handmade projects, including quilts - of course. Umbrella Prints collate the most perfect remnant/scrap packs! OOooh, beautiful! I can't wait to see what you make out of these!!! 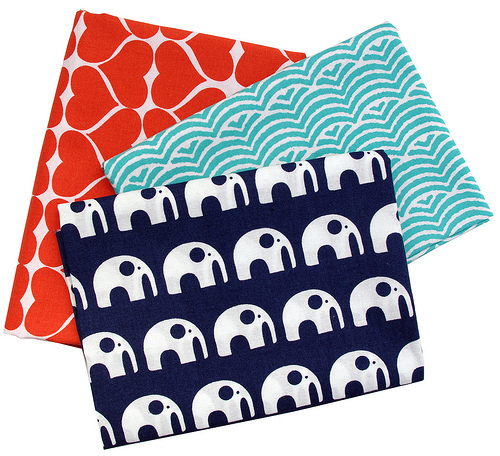 What gorgeous fabrics! I think I might just have to get myself one or two bits so I can swoon over them in person! Oh they're lovely! I'm on a bit of a mid-weight thing lately, might have to grab some! Love Umbrella Prints! I've had one of their little scrap selections sitting here for quite some time, but can't seem to find the perfect way to use them! Glad you shared the wonderful Umbrella prints!!!! I got scraps from them, and they sent such a wonderful selection! Love their fabrics. Absolutely adore these! Thanks so much for sharing! LOVE these! So simple, but really fun!